Last week we showed the Epirian Master Handler for the first time. This week, we'll share a few more snippets of information about the model. The master handler has been sculpted, but is still quite a while away from production as it will be in a plastic tool with some other models that are still in development. As such, everything is subject to change until the metal is cut and the rules cards printed. The model can be equipped with a claw arm, or two drone-type weapons, along with sensor array and missile pod options. We are playtesting rules for it at the moment. 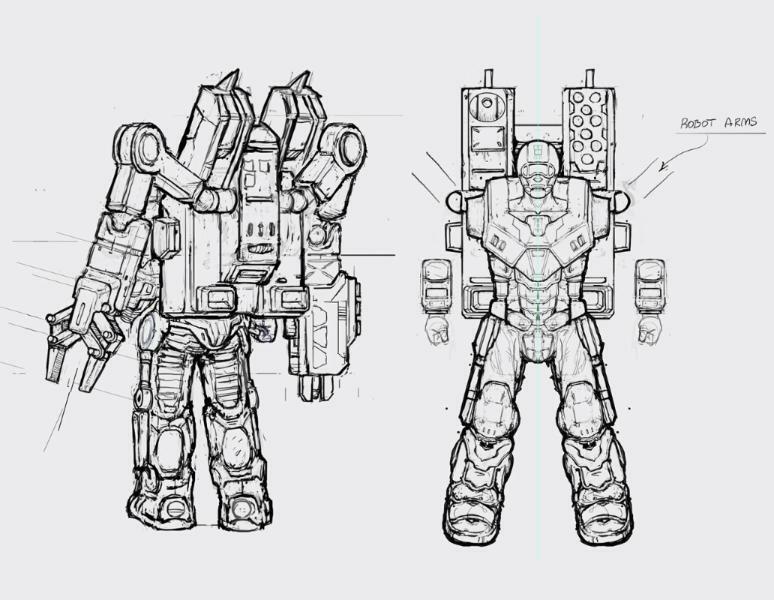 The arms can be posed dynamically, with the robotic arm elements having two ball joints and one flat joint, allowing a huge range of motion in the arm/weapon direction, while maintaining the cool, heavy look of the model.